If you're guilty of using a bit of jargon in the workplace, such as vowing to give a project '110 per cent' in terms of effort, then you might want to have a rethink. 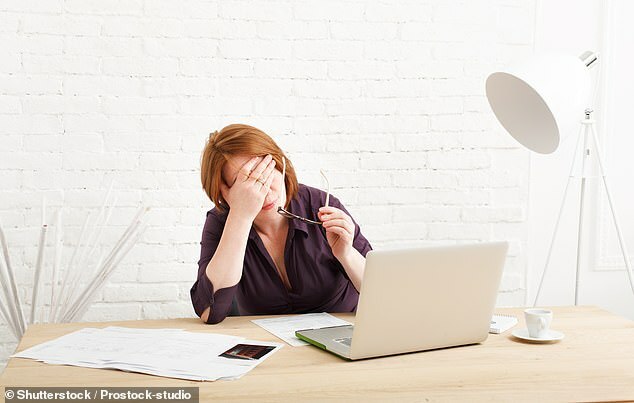 New research has identified the 10 most irritating pieces of office jargon of the year, that are guaranteed to put your colleagues' teeth on edge. Others are just frustrated at hearing the same tired old phrases over and over again. 'Give 110 percent' has now been voted the most annoying office jargon of 2018 in a poll of more than 100 IT and business professionals. The survey, which was conducted at London's IP EXPO trade show by Fuze, found that over a quarter of the IT professionals questioned said it was their most frustrating phrase to hear. 'Blue sky thinking' came in next, taking 19 per cent of the vote, with 'low hanging fruit' close behind at 17 per cent. Commenting on the survey findings, Bradlee Allen, Product Evangelist at Fuze, said: 'In businesses across the UK, meaningless and often nonsensical jargon continues to be used. He continued: 'The new generation of workers value direct communications. Phrases like 'Give 110 percent' only cause confusion and create barriers between colleagues. 'As today's workers bring new working styles and preferences to business. Previous research by independent job board CV Library revealed that 70 per cent of workers would like to scrap buzzwords completely. Meanwhile 74 per cent of people said they believe colleagues only use buzzwords in order to sound more intelligent.